Strategic Communication discusses the four essential elements of effective communication – setting goals, knowing the audience, mastering skills, and managing anxiety. 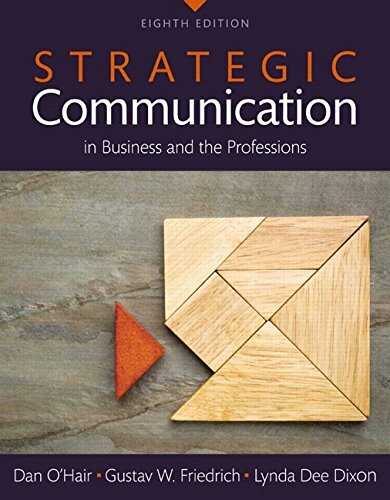 For the successful communicator this book provides the both framework and the necessary tools. This Seventh Edition helps the reader address the current challenges of communication within the realm of business. The updated examplesprovide an increased focus on the balance between technology and communication, the new forms of communication technology; in addition to the integration of new research in the area of business communication, management, interpersonal and group communication.Strategic Communication prepares readers for the business world of today.